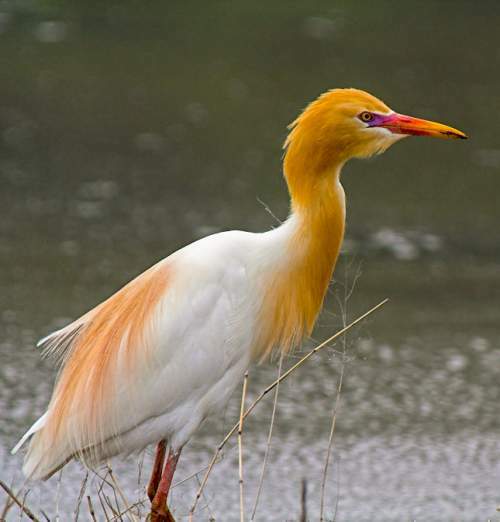 The Cattle egret (Bubulcus ibis) belongs to the family of egrets, herons and bitterns, the Ardeidae under the order Pelecaniformes. 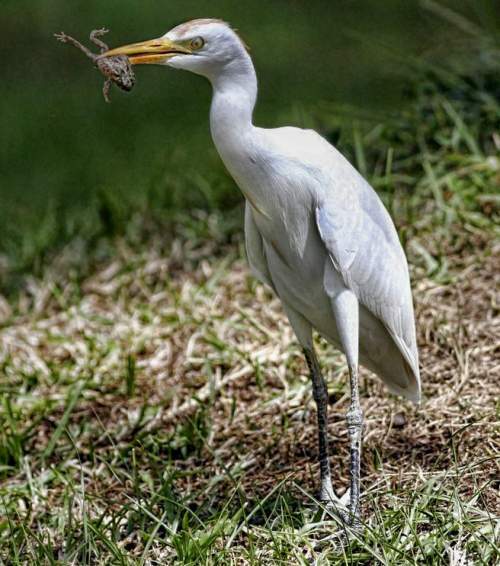 The Ardeidae is the family of herons. The family Ardeidae was first described by William Elford Leach, MD, FRS (2 February 1791 – 25 August 1836), an English zoologist and marine biologist, in the year 1820. 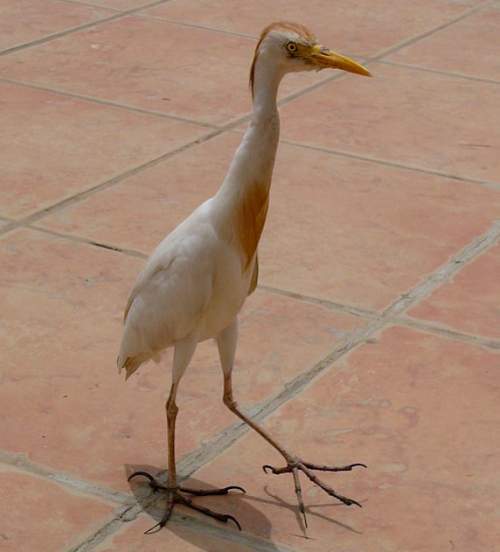 The family Ardeidae comprises three subfamilies, viz., Tigriornithinae, Botaurinae and Ardeinae. 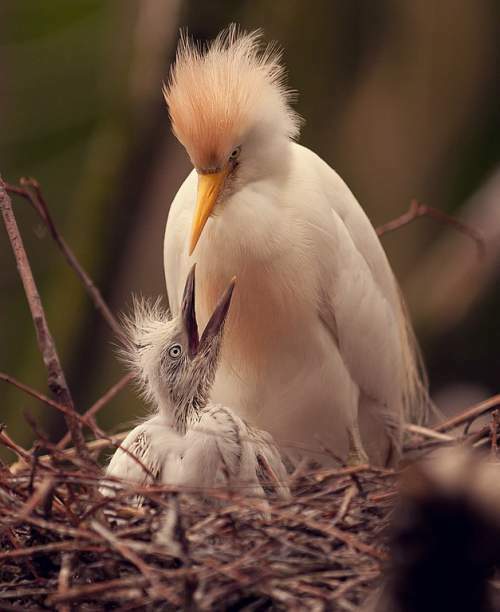 The subfamily Ardeinae contains eleven extant genera, including Bubulcus. 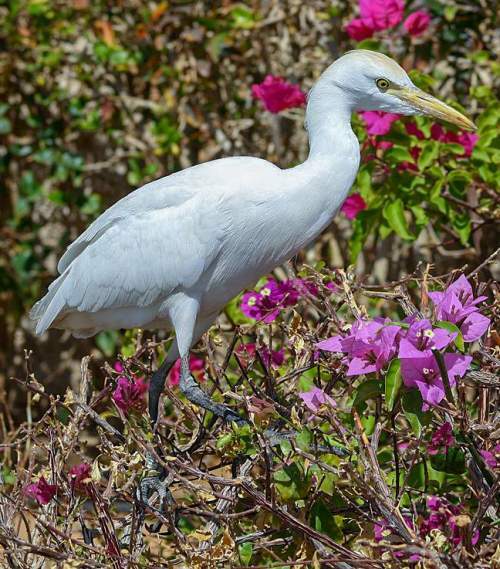 The genus Bubulcus comprising egrets was first introduced by Charles Lucien Jules Laurent Bonaparte (24 May 1803 – 29 July 1857), a French biologist and ornithologist, in the year 1855. 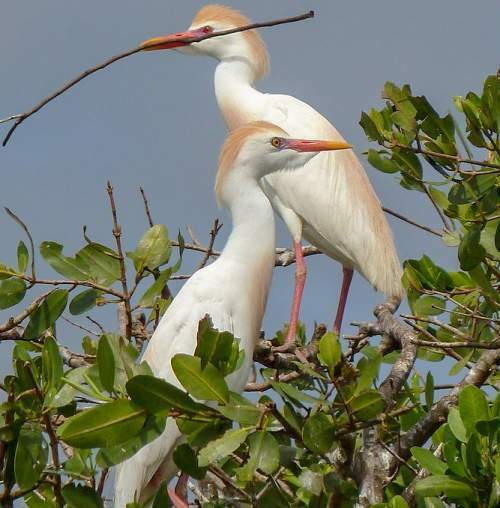 The genus Bubulcus comprises two extant egret species, viz., Bubulcus ibis and Bubulcus coromandus. 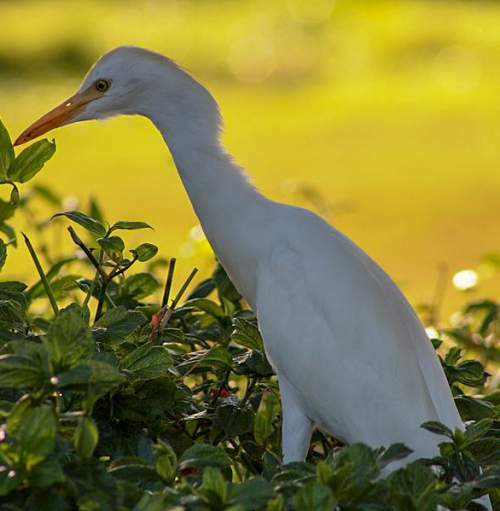 This Bubulcus ibis egret species is polytypic. 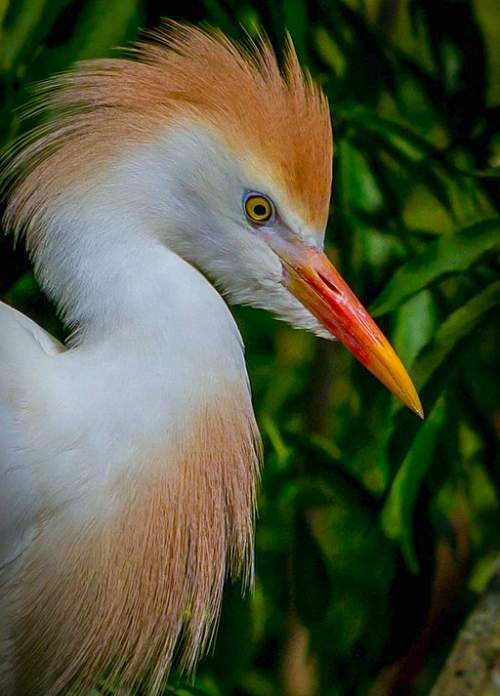 This egret species was first described by Carl Linnaeus (23 May 1707 – 10 January 1778), a Swedish botanist, physician and zoologist, in the year 1758. 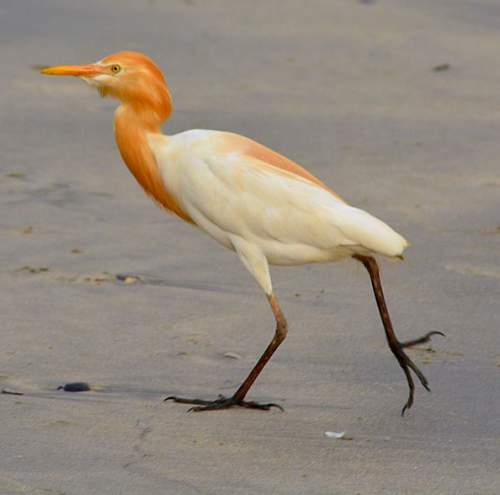 Current topic in Bird World: Cattle egret - Bubulcus ibis images.